Pterosaurs were flying reptiles which existed from the late Triassic to the end of the Cretaceous Period (228 – 66 million years ago). They were the earliest known vertebrates to have evolved powered flight with wings formed by a membrane of skin, tissues and muscles. 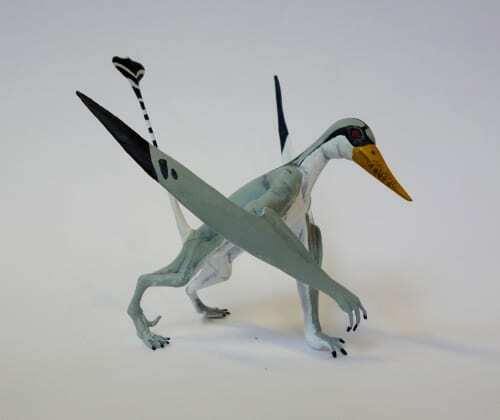 The order Pterosauria included at least 100 different species including the well known genera Pterodactylus, Pteranodon and Quetzalcoatlus. 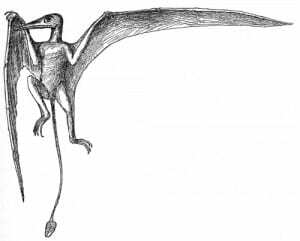 Within this order, Rhamphorhynchus (“beak snout”) was a genus of long-tailed pterosaurs which lived in the Jurassic Period around 201-145 million years ago. 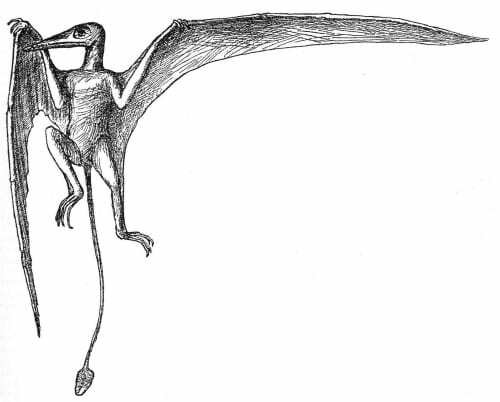 The taxonomy of Rhamphorhynchus has a long history of reclassification under a variety of species names but most researchers now recognise a single species, Rhamphorynchus muensteri. This is largely the result of research by S. Christopher Bennett (1995) who argued that different species “fall into discrete size-classes that are year-classes resulting from seasonal mortality or preservation of specimens” 1. One of the giants of palaeontology, Karl Alfred von Zittel (1839-1904) was, by 1880, professor of palaeontology at the University of Munich with the charge of the state collection of fossils. In 1882 he described a specimen of a single complete pterosaur wing found in the Jurassic lithographic limestone of the Solnhofen Lagerstätten. 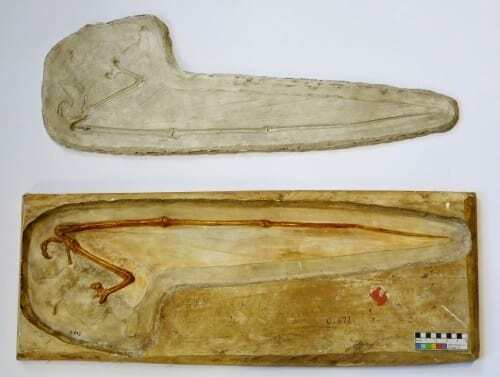 This exquisitely preserved specimen showed the imprints of the membrane including the actinofibrils, which are the strenghtening fibres (overlain in criss-crossing layers) providing strength to the wing. In addition to the detail preserved in the wing, the overall size, shape and width was now known. 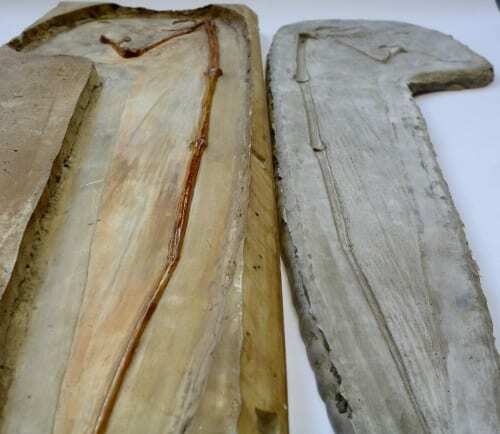 It was a significant find then, and to this day is still arguably the best preserved patagium (wing membrane) of a pterosaur. “Ramphorhynchus reconstruction Zittel 1882″ by Karl Alfred von Zittel. Based on the “Zittel wing”. While we are not quite sure when they date from (or when exactly they came to the Grant Museum) – we do know with certainty that the plaster cast WAS made from this mould. As is the nature the material, plaster is quite easy to cast but doesn’t capture the finest detail. This is evident upon comparison between the plaster cast and the mould (which has more detail of the membrane to the eye and the touch).